Six layers of 316L bonded steel create the most stunning effect on the Minus 8 Layer Leather watch. 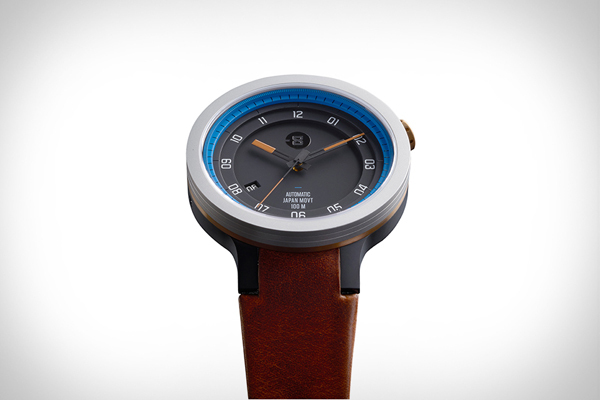 Featuring a comfortable vegetable tanned leather strap with raw suede at the back, a lens made of virtually unbreakable sapphire crystal and a 40+ hours of power reserve, it is priced at US$498.00. Different colour schemes available, such as black/black, black/bright, or silver/blue (shown).